TenniStar offers instruction at the Bethesda Sport & Health Club and at the Promenade, also in Bethesda. Our exceptional staff of skilled professionals teaches throughout the week and on weekends. See our camp and lesson brochures here. 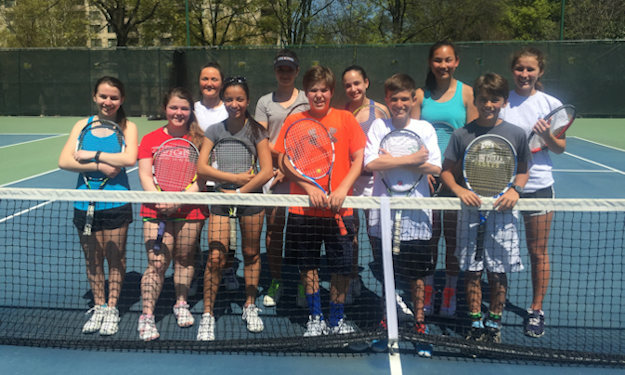 Since 1984,TenniStar® Sports, directed by Mitch Henkin, has delivered quality tennis and sports camps and multi-sport instruction to 25,000 participants throughout the Washington, DC Metropolitan area. We emphasize a positive, personalized approach at first-rate facilities. Our personable, dedicated and service-oriented staff is the most experienced in the area. We appreciate your trust.